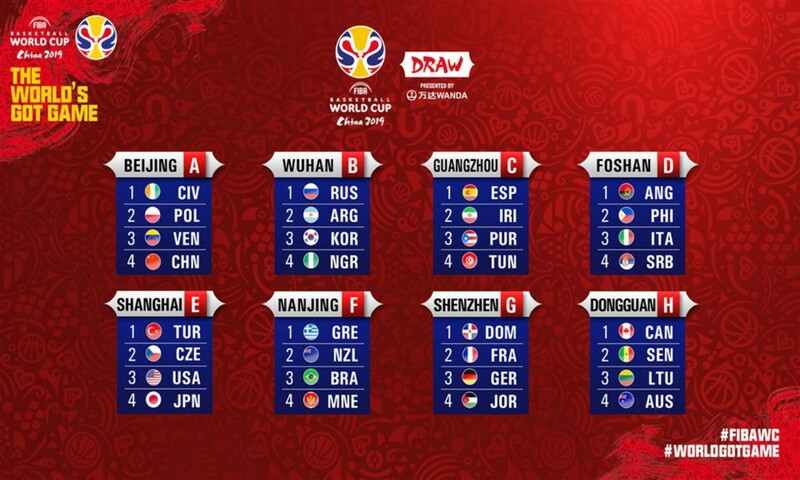 Shenzhen, 18th March 2019: The much awaited official draw for the FIBA Basketball World Cup 2019 was finally held on Saturday, 16th March in a glittering ceremony. NBA superstars Kobe Bryant and China’s very own Yao Ming headlined the ceremony that saw representatives from all 32 World Cup bound teams in attendance. Popular American singer-songwriter Jason Derulo performed live during the ceremony. The FIBA Basketball World Cup 2019 will be held across eight cities in China from 31st August to 15th September.